How would you like to receive 2% or more off of every purchase you make? That is just one example of what is being offered to credit card users in the form of rewards. Those who have come to realize the opportunities of credit card rewards have found that there are dozens of competing products. No one card, or group of cards, is right for everyone. So how do you choose which credit card use? It is not simple, but there is a proven way to ensure that you are receiving the most value in return for your credit card spending. Who Should Earn Credit Card Rewards? First, it is important to remember that credit card rewards are not for everyone. Unfortunately, those who carry a balance should not use a reward card, since by pursuing rewards, cardholders with a balance lose the opportunity to receive the lower interest rates offered on non-reward cards (i.e. 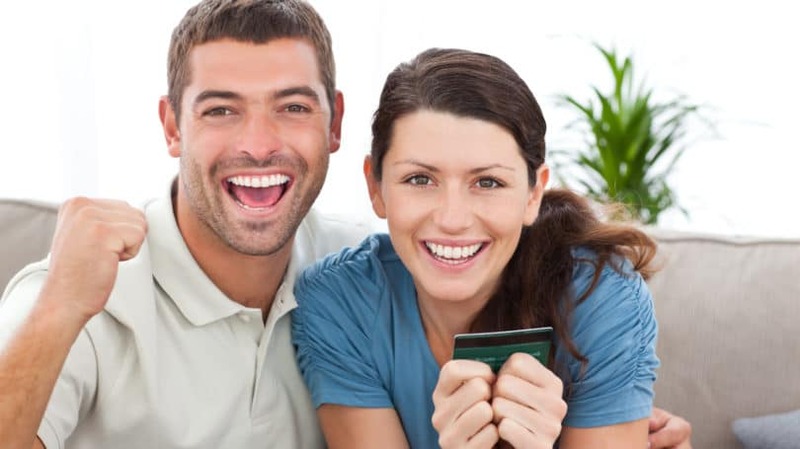 best low APR credit cards). Since the savings from the lower interest rates will far exceed the value of any cash back, points, or miles, it is best to ignore rewards altogether. Also, people who are struggling with credit card debt should not be motivated to spend more in order to earn rewards. The ideal user of a travel rewards credit card is someone who pays their balance in full every month and likes to travel. Travel rewards card users don’t even need to travel much to take advantage of the opportunities offered by these cards – many earn points and miles throughout the year, and utilize them only occasionally. Of course, those who do travel frequently for work or leisure can benefit greatly and rapidly earn rewards to see repeated, frequent travel benefits. Once you determine that you can save money by using reward cards, your goal will be to maximize the value received for each dollar spent. This calculation is easy for simple cash back credit cards that return a fixed percentage per dollar spent, but becomes more complex when calculating the cash back value of a card that offers different rates of return for spending at various categories of merchants. For instance, the TrueEarnings® Card from Costco and American Express (a Money Crashers partner) offers additional cash back on gasoline purchases, beyond the cash back received for other purchases. There are even cards that offer cash back bonuses for purchase in spending categories that rotate every few months, such as the Chase Freedom Card. It can be nearly impossible to calculate your total cash back from a card like this, since you never know which categories will receive the most favorable rates at any given time. Most cards, such as the Blue Cash Preferred® Card from American Express (a Money Crashers partner) and the Chase Freedom Card put limits on the amount of spending that is eligible for the bonus rates of cash back. Customers may opt to carry multiple cards so they can use the one with the highest current rate of return at any particular merchant. This strategy works well until the cardholder becomes overwhelmed by the complexity of carrying many different cards for different uses. Therefore, I recommend that most people limit their holdings to the three or four cards that return the highest cash back for the type of purchases they make. Lastly, even the seeming simplicity of receiving cash can result in having to choose between various means of receiving the bonuses earned. For instance, some cards offer a statement credit each month, while others mail the cardholder a gift card. 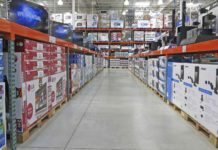 Perhaps the most inconvenient way to receive cash back is the the method used by the Costco True Earnings Card: Customers must wait until February of each year to receive a voucher redeemable at a Costco branch for cash or merchandise. If the customer’s account is not open and in good standing each February, all awards are forfeited! The most difficult rewards to calculate can be the ones that offer points or miles in a loyalty program. 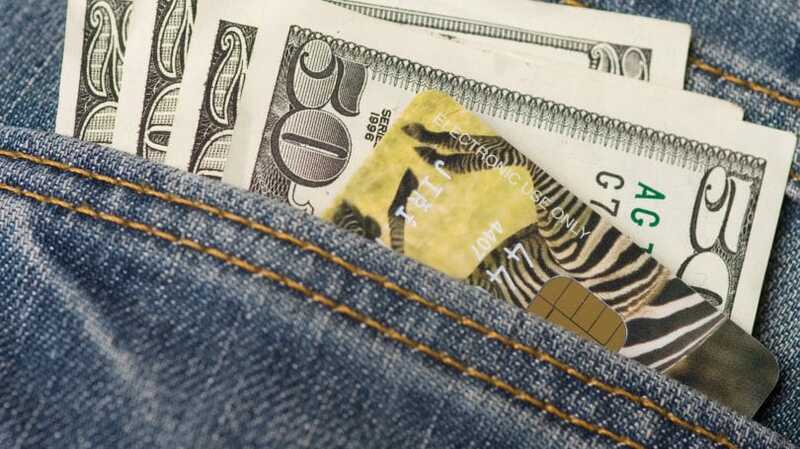 Some credit cards offer points or miles in a program run by the bank, such as the miles earned by users of the Capital One Venture Rewards Card. With this card, two miles are earned per dollar spent, and these miles can be redeemed for one cent each as a statement credit against any travel expense. Therefore, cardholders receive the equivalent of 2% back in rewards value for each dollar spent. A more popular alternative are co-branded credit cards that offer points and miles with an affiliate, such as an airline or a hotel chain. 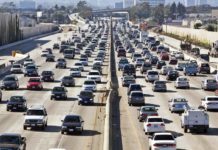 Determining the value of these miles can be very tricky, as their utility will vary based on the quality of the program and how you use them. For example, holders of an airline credit card who receive the standard 1 mile per dollar spent will not receive much value if they must use 25,000 or 50,000 miles for a “standard” domestic economy class award ticket. If the ticket’s actual value is $500, then they are only receiving 1% or 2% back on their purchases. On the other hand, if they are able to use 100,000 miles for a business class ticket to Europe, their award will probably be worth several thousand dollars. In this scenario, the cardholder has realized four to eight cents in value for each dollar charged to his or her reward card. Someone who spent the same $100,000 dollars on the best cash back (non-travel) rewards card that returned 2% would end up with only $2,000. Although some would rather have the cash, others realize that the business class flight to Europe is worth far more. The highest value rewards tend to be found when cardholders redeem their miles and points for international airline travel in business or first class. 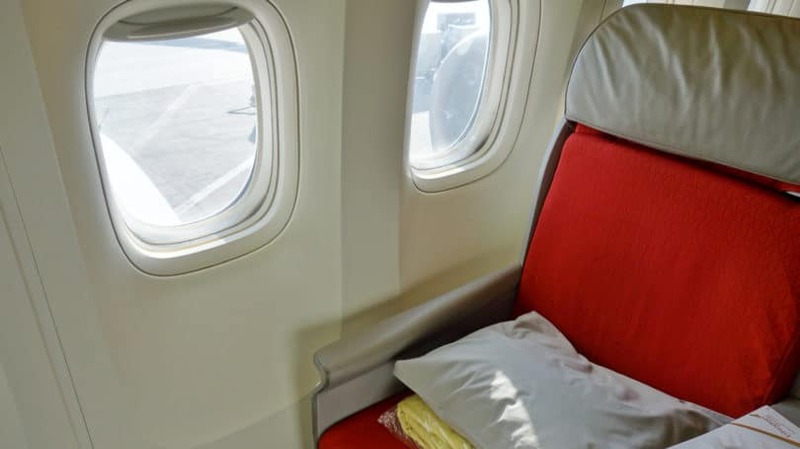 Even though these seats cost several times the price of economy class, the awards require a relatively small number of additional points or miles. For example, many business class awards cost a mere 50% to 80% more than the same flight in coach, and the truly luxurious international first class award seats usually only require twice the miles of economy. Despite this relatively high number of required miles or points, purchasing such tickets with cash costs 5 to 10 times more than those in economy. Cardholders who earn hotel points face a similar situation, where luxury hotels return more in dollars per point than awards for free nights at less expensive properties. What Is the Award Worth to You? Airlines and hotels are able to return this tremendous value for their premium awards because it allows them to utilize excess inventory that would have otherwise gone to waste, such as an empty airplane seat or a vacant hotel room. In other words, these awards are not worth much to them. But what are these awards worth to you? It is up to you, the cardholder, to determine the true value of these rewards, regardless of the original cash value applied by the airline or hotel. For instance, I may redeem an award for a business class seat that sells for $7,000, but unless I would have paid that amount under normal circumstances, I am not actually saving that much money. If the coach ticket cost $1,000, and I would have paid no more than $2,000 to be upgraded, I must only value that award at $2,000. If I used 100,000 miles for that award, I only received two cents in value from any miles I earned from credit card spending. The same logic applies to lodging. Just because you might be upgraded to a $2,000 a night suite in a hotel doesn’t mean that you really saved $2,000 – you’ve only saved the amount that suite is worth to you. One of the great ways to leverage reward cards is through the use of sign-up bonuses. These awards, typically in points or miles, can be worth hundreds of dollars. Many of the best reward credit card sign-up bonuses have a monetary worth of $500 or more. Therefore, the less a person spends on reward cards each year, the more value a sign-up bonus will have in regards to the total rewards he or she will earn. For example, someone who spends just $10,000 a year on their credit card could earn a 50,000-mile sign-up bonus equal to the miles earned during five total years of spending! Conversely, someone who charges $100,000 worth of business expenses to their card each year will find that same sign-up-bonus equal to only a half a year’s worth of rewards for his or her spending. The biggest allure of reward cards are the points, miles, or cash back, but the benefits do not stop there. One of the current trends of rewards cards is to offer customers other discounts, amenities, and fee waivers. For example, many airlines now grant lounge access, allow priority boarding, and waive checked baggage fees for holders of their co-branded credit cards. Other cards offer concierge services and preferred access to concerts and sporting events. Any value you receive from additional perks must also be considered when determining the best card for your needs. There are an incredible number of reward credit cards that are fiercely competing for your business. If you have the skill and discipline to pay off your balance in full and on time each month, you owe it to yourself to be receiving the maximum rewards from your credit card issuer. Do you successfully earn credit card rewards? Do you prefer cash or loyalty points and miles? What is your favorite card?